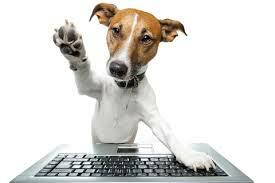 You are currently browsing the The Pet Product Guru blog archives for November, 2014. Do you dread putting up your Christmas tree only to have your feline friend knock off your favorite ornaments ,tinsel and garland off? S he may even knock the tree down! First of all, consider the type of tree. Real trees can be potentially dangerous to cats. Their needles are very sharp and can puncture your cat’s skin. Make sure that you select a strong tree with a strong base. Consider the size of the tree. A small tree will be safer than a larger tree because there is less of it to crash down if things go horribly wrong. For a kitten, a tabletop tree might be a suitable choice until it grows up and stops being so playful. If you do choose a real tree, also choose a water container for the tree that is completely inaccessible to the cat. If she tries to drink from it, she risks poisoning. For small kittens, wrap tinfoil around the trunk. They don’t like putting their nails into it and it will keep them from climbing the tree. Choose a safe location for the tree. There should be plenty of room around the tree so your cat is not tempted to climb on a table of sofa to reach your favorite ornaments. Consider a spot that would enable you to shut the door at night or when you’re not at home. Consider not decorating it immediately. Give your cat a little time to get used to the tree. Keep a spray bottle handy. If your cat lunges at the tree, give her a squirt of water to deter her. Decorate your tree with your cat out of the way. Put the best ornaments toward the top of the tree out of reach from your curious cat. I put the plastic ornaments toward the bottom of the tree. Attach the ornaments to the tree securely. I bend the hook around the branches so it’s difficult for my cats to knock the ornaments off. Be care for electrical wiring. Try to keep it out of reach of your cat. I usually don’t have any problem with this. Make sure that the tree is unplugged when you’re not at home. Check out six great stations and a mix of holiday music on THE EDGEWATER INTERNET RADIO NETWORK! If you want to search for a new pet online, you have many options depending on what you’re looking for. There are rescue groups for almost any breed of dog or cat. There are shelters in almost every town and there are cyber shelters such as petfinder.com. I would advise you not to fall in love with a pet just by looking at a photo. We discussed in previous postings the characteristics of particular breeds of pets. Research the breeds temperament and background. Consider the breeds, size, general behavior and any other characteristics that may be important to you. Any pet that you bring into your home should match well with your family and your lifestyle. Check out the rescue group as well. Find out about its procedure, its follow up policies and its adoption fees. Before you go out and buy that dog leash or that cat bed make sure you do your homework. Holiday favorites plus the best variety of music on six great radio stations —-THE EDGEWATER INTERNET RADIO NETWORK! Veterinarians cannot do much to prevent cancer in cats but they can often treat it. If your cat is older and doesn’t seem to be well, your veterinarian will probably test for cancer among other diseases. How common is cancer in cats? Dr. Janice Baxter, Veterinarian at the Alexandria Animal Hospital in Virginia says that cancer is not uncommon in older cats. This is because the general cat populations are living longer and longer. She says that a diagnosis of cancer is no longer necessarily a death sentence. Surgery, Chemotherapy and pet medication can help many cats, but the financial costs are high. If your cat is older, is losing weight, not eating or is listless, have him checked out by your vet right away. Delaying treatment could be life threatening! Great Music plus your holiday favorites playing right now on THE EDGEWATER INTERNET RADIO NETWORK! My cat Millie, was a kitten when she was abandoned during Hurricaine Katrina. Luckily, she has a good home and lots of love but she still shows signs of being traumatized. She’s very “skiddish” and runs away at the drop of a hat. She’ll jump to the ceiling if she hears a loud noise and she doesn’t like to be left alone for too long. If I’m not home at my usual time, I can be sure that Millie will be sitting on the window sill looking out for me. First of all, keep people that don’t like cats away from your “skiddish” cat. They send off a vibe that cats can pick up. You don’t want these kind of people around your cat anyway! The more positive things like people, places or things that you could expose your cat to, the better. Don’t expect miracles, take it one step at a time. To get her used to strange people, seek out a few friends that do like cats. Put your cat in the room first and close the door to keep her from dashing out. Have your friends sit in the room with her quietly and not seek out your cat’s attention. Put on a movie or some soft music. The goal is to have your cat see them and realize that they won’t hurt her. Have your guests offer your cat some treats. Put the treat next to them so she can approach without having to interact. It may take time, but if you keep doing this, she will eventually begin to trust your friends and who knows maybe will even try to rub against them for affection. Great music, try us out! The Edgewater Internet Radio Network! 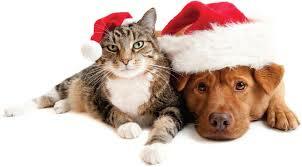 The holidays are the most dangerous time for your pets. Just call any veterinary emergency clinic to verify this. The number of pet injuries, poisonings, accidents and illness that are preventable rise dramatically from November to the beginning of January. Here are some of the most dangerous. 1. The holiday food, pet owners seem to feed their pets very fatty leftovers and foods during the holidays. This causes a sharp rise in pancreatitis in dogs. 2. The holiday plants like poinsettias are poisonous to dogs and cats. Don’t buy them and put them around your house. 3. Holiday tree ornaments such as tinsel and glass ornaments. Glass can break and injure your pet. I almost lost a cat because he ate the tinsel on the tree. DON’T USE IT IF YOU HAVE A PET! 4. Candles can cause burns if your cat accidentally gets to close. If your dog knocks them over,they can cause a fire. 5. Dinner guests and holiday visitors that don’t know how to interact with your cat or dog can get scratched or bitten. 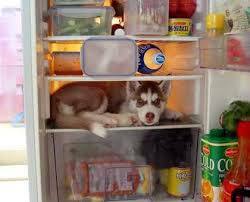 It also provides an escape route for your pet if they leave the door open. 6. 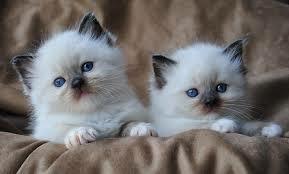 The holiday presents present a threat if they contain chocolate which is toxic to cats or dogs! If you play it safe, you won’t have to keep your pet in his pet or dog carrier or crate all the time during the holiday season. A mix of holiday music begins on Thursday (Thanksgiving) on Edgewater Radio, Movin Easy Net Radio, Constant Country KRS and Starlite 365. They can all be found the THE EDGEWATER INTERNET RADIO NETWORK! If your dog is hyperactive, it’s probably due to boredom. Here are some simple techniques you can try at home to calm your hyperactive dog. I know this is difficult to hear but you should ignore the hyperactivity behavior. If you constantly pay attention to this behavior pattern, you will be reinforcing this behavior. The next time you walk through the door, and your dog jumps, nips and goes crazy on you, ignore him. No touching, no talking to him and no eye contact until he calms down. You might me surprised on how quickly your dog settles down. You can redirect his energy by taking him for a walk. It’s great exercise for you and your pet. This will tire him out and calm him down. Give him a job to do so he doesn’t dash toward a squirrel or bird. Let him carry a small backpack with items like a water bottle or some other small items in it. He will concentrate on carrying this and spend less time worrying about catching that squirrel. In this case, you are redirecting his hyperactive energy elsewhere. Great music plays on THE EDGEWATER INTERNET RADIO NETWORK! We protect our feet and keep them dry and warm in the cold, snowy winter months. It’s essential that we do the same for our dogs. If you let your pet walk or hike with you on snowy trails in winter, ice balls can form between their paw pads. The hair on his paw gets caught with the snow and form ice that is as hard as rock. It not only makes walking painful, but it’s hard for our pets to walk. You can help by trimming the hair on your dogs paws and applying some petroleum jelly just prior to your walk. Be sure to use an edible ointment as dogs frequently lick their paws. 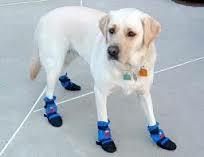 Another effective option are boots for pets. There are many sizes and styles. Make sure that you get a thick boot. This may not work for all pet personalities, but for dogs that will tolerate a boot, this offers the ultimate protection from the elements. How about some great popular standards on this cold November day? Check out STARLITE 365. It can be found on THE EDGEWATER INTERNET RADIO NETWORK! All of those delicious smells coming from the kitchen no Thanksgiving day will entice your dog but there are some things that you should be aware of. It’s a bad idea to let your dog have all the food that you and your guests are having. This includes mash potatoes, gravy etc. A little turkey would be fine but don’t over do it. Fatty foods can lead to an upset stomach and keep in mind that turkey skin can wreak havoc with a dog’s digestive system, so make sure she gets skinless, boneless turkey. Give your dog lots of exercise before the Thanksgiving feast. It she’s pooped, she may stay away from the table. Keep all turkey bones away from your dog. Make sure that the garbage is covered tightly. Put plates in an unreachable area if you can’t dispose of everything properly right away. Sage and some other herbs have essential oils that can cause tummy upset and central nervous system depression if a dog eats them in large quantities. Keep them away from your dog to be on the safe side. Keep raw dough away from your dog. Heat causes raw dough to rise. If your dog eats enough of it, the heat in her stomach will cause the dough to rise causing pain, vomiting, and bloating and maybe even a trip to the doggy E.R. Keep all alcoholic beverages away from your pet. Have a happy and safe Thanksgiving . Great music all the time on THE EDGEWATER INTERNET RADIO NETWORK Click, listen and enjoy! 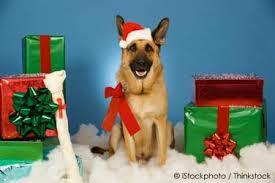 Here come the holidays again and of course you must include mans best friend. The problem is that you always wind up getting him the same thing. A new squeeze toy or that same rawhide bone that you got him last year and the year before. Here are some ideas. The top gifts for your best friend. Brad’s Big Bully Dog Leads: These heavy duty leather leads are beautifully crafted and will truly stand up to the heaviest of use! Big Shrimpy Dog Beds: Big Shrimpy dog beds are water resistant and come in a huge variety of colors, shapes and sizes! These beds are filled with 100% recycled fibers and are extremely washable! MannersMinder Remote Reward Dog Training System: The “Treat and Train” was a device manufactured by The Sharper Image a few years ago that has now been discontinued. The MannersMinder is Premier’s version of this device and has been receiving rave reviews much like its predecessor. This little machine allows you to give your dog a treat via remote control from up to 100 feet away. .RuffRider Roadie LX Dog Safety Harness: RuffRider Dog Safety Harnesses are the best canine seat belts out there! The LX is lined with soft sheepskin for your dogs’ comfort and it attaches to any standard vehicle seat belt system. Make sure your pup stays safe this holiday season while traveling! A Weekend at a Kimpton Hotel: If you and your pooch really want to live it up, make a weekend getaway to one of the many exceptionally pet friendly Kimpton hotels! Not only do they tolerate pooches of all sizes, they love them! The group of Kimpton hotels provides dog walking services, pet food, chew toys and even grooming and pet massage! Some of the hotels list “pet packages” with special amenities so you and your pup can make the most out of your time away from home. Thanks to The Dog Guide for providing this useful information. Great music playing on six stations on THE EDGEWATER INTERNET RADIO NETWORK! You know that I am an animal lover. I once saw a special on 20/20 . They did a story about people with too many cats. One woman had over 100 in her house!! I just want you to know that this is only my opinion. I always try to live a balanced life. I mean spending quality time for work, friends, family and my two cats. I also believe that when you adopt a pet, you should strive to give them a clean, healthy, happy and peaceful life. People who go to extremes and by “extremes” I mean having so many cats living indoors are not doing themselves or the animals any good. They create an imbalance in their lives. Caring for over many cats requires lots of time, money and cleaning. Think of all of the food, litter, cat toys, not to mention the expense incurred if they get sick. You should also try to bond with your pets and having all of these cats limits the time you can spend with each of them. Now, please keep in mind, if you have cats that you keep outdoors and care for and feed them, then I guess it doesn’t matter how many but still there should be limits. If you are spending an enormous amount of time caring for your cats, then, you aren’t spending enough time on other things in your life. This creates an imbalance. Things could easily go awry if your life is not properly balanced with work, hobbies, play, pets and other loved ones. 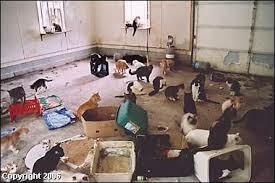 The lady with over 100 cats lived in filth. The cats looked unhealthy. They were on top of one another is an extremely unsanitary environment. They were certainly not living, happy, healthy lives. The person who owned these cats became so obsessed with caring for them that she neglected her own needs. The house was a filthy mess. I feel that everything in moderation is OK. My message here is that balance is important and this even applies to your pets. They need love and attention and going overboard and having so many is not doing the animals or yourself any good. Great music all the time on THE EDGEWATER INTERNET RADIO NETWORK! add comment Comments Off on Too Many Cats!! !